Welcome to another of our Top Ten Uses! 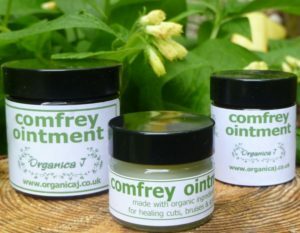 This month as its comfrey harvest time, we thought we’d look at one of our top selling products – comfrey ointment. We have had so much feedback over the years from clients on our comfrey ointment, which we make from our own comfrey macerate (wild crafted comfrey herb in organic sunflower oil). The comfrey is gathered by us, by hand, from a private, protected piece of ground in North East Scotland. Here are some helpful uses for our Comfrey Ointment. 1. Hacks in hands and feet. 4. Ligament or tendon issues. In ancient times the herb was called ‘knitbone’,’ all heal’ or ‘woundwort’. We use the comfrey macerate in our Comfrey Ointment, but also in our Gardener’s Hand Balm, Herbal Foot Balm, Reflexology Foot Balm, Skin SOS Balm. If you feel this ointment would be useful for you, you can buy it here from Organica J. 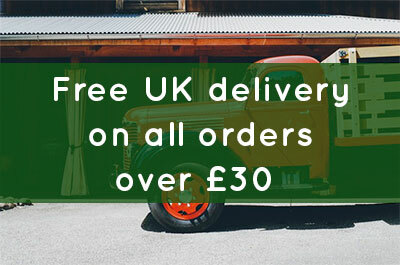 Please call or email us if you require any further information on our products. I am a qualified Aromatherapist (BSc) and happy to help. This ointment is to be used topically only. For complex medical conditions & pregnancy always contact a qualified aromatherapist or your GP.